Insurance Research Council data found the state to be the most expensive and has high delinquencies. The Insurance Research Council (I.R.C.) released data from a recent study showing that Louisiana car insurance is the least affordable in the United States. Moreover, the state is also among the highest for payment delinquencies in the country. These details help to show the market challenges faced by buy-here, pay-here vehicle sellers. The study pointed directly at Louisiana car insurance as the least affordable among all American states. The I.R.C. study indicated that there are a number of factors leading to the costly nature of a . Among those issues are a high frequency of auto collisions, a high number of related injury claims, and the high instance of attorney involvement in litigation. 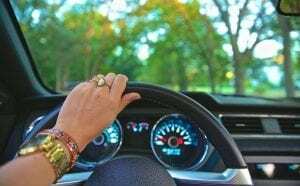 Those cost drivers send the auto insurance rates skyward, according to the [leadin: 2 urCount: 2 urMax: 0] article on the subject. According to IRC data, Louisiana’s affordability index scored 2.64 percent. That was the highest among all American states from 2011 through 2015. That index is a ratio of average auto insurance expenditures against the average household income. At the same time that data showed Louisiana car insurance to be expensive, more found consumers can’t pay. Recent Experian Automotive data revealed that Louisiana has the second highest delinquency rate in the country for both 30 days and 60 days. Experian stated that the rate for the second quarter’s 30 day delinquency was 3.28 percent. The 60 day delinquency rate for that same quarter was 1.08 percent. The IRC study revealed that last year, Louisiana’s bodily injury (BI) liability claim frequency was the highest in the United States. For every 100 insured vehicles, there were 1.75 claims. This was nearly double the nationwide average, which was 0.90 per 100 insured vehicles. The IRC also stated that an additional factor to consider regarding the high Louisiana car insurance rates were the number of attorneys involved in litigation. Among the BI claims made in 2017, over half (54 percent) involved filed lawsuits with assistance of an attorney. The average across the rest of the country was 48 percent last year.